GrapeCity Document for Imaging (or GcImaging) is a high-speed, feature-rich API to process images in .NET Standard 2.0 targeted applications. You can create, load, modify, crop, resize, convert, and draw images. Earlier we discussed how GrapeCity Documents can be used to generate documents (PDF and Excel) on top of AWS Lambda. In this article. we'll discuss how we can leverage this compatibility of GrapeCity Documents with Lambda functions and extend this to GcImaging for creating an imaging service over AWS S3 events. GcImaging is distributed as standalone NuGet packages, available directly from NuGet.org. There are plenty more operations that you can perform with GcImaging. 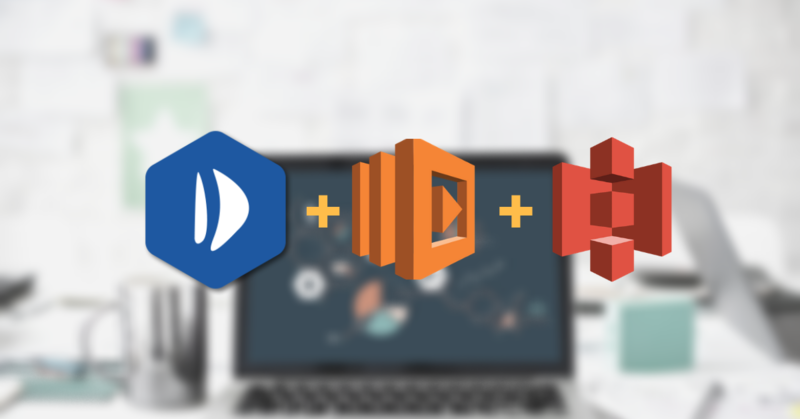 Amazon S3 can publish events (for example, when an object is created in a bucket) to AWS Lambda and invoke your Lambda function by passing the event data as a parameter. 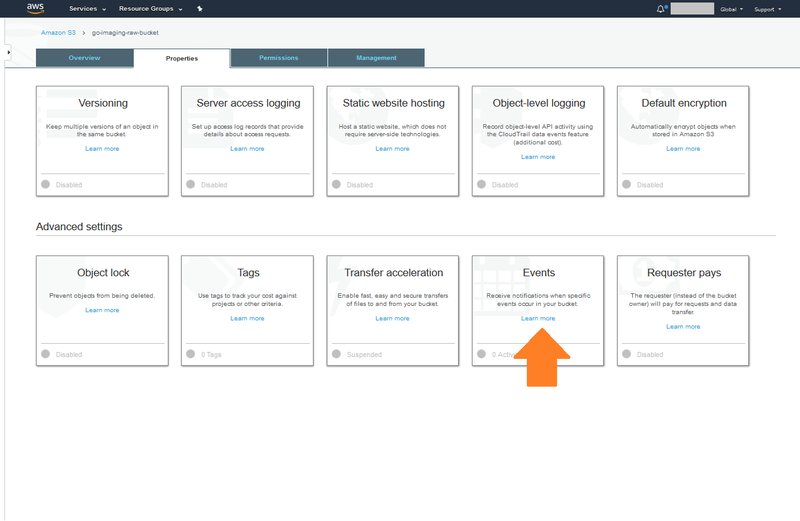 This integration enables you to write Lambda functions that process Amazon S3 events. 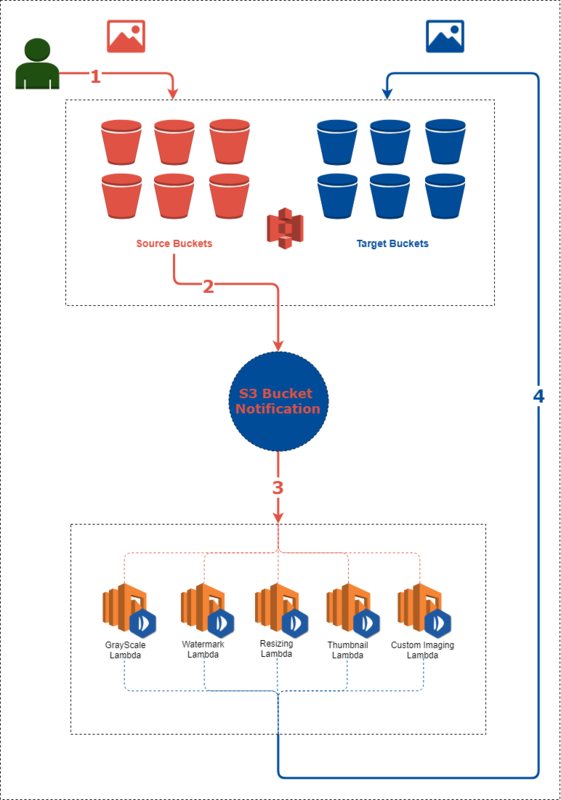 In Amazon S3, you can add a bucket notification configuration that identifies the type of event you want Amazon S3 to publish and the Lambda function you want to invoke. This notification system can then be used to manipulate the image which is uploaded to a bucket. An event (object created) is raised w.r.t the uploaded image. This invoked function takes S3 event and its object’s key (image unique ID). The AWSLambdaExecute policy has the permissions that the function needs to manage objects in Amazon S3. Next, we will create a Lambda function which will contain the code to fetch, modify, and upload the image to an S3 bucket. You can download the project from GitHub at this location "GC Imaging AWS Lambda S3." 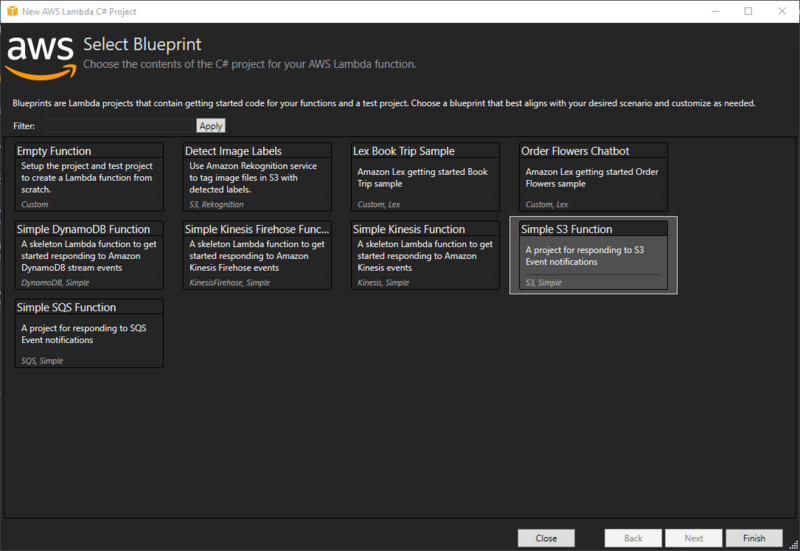 Select 'Simple S3 Function' from 'Select Blueprint' dialog. 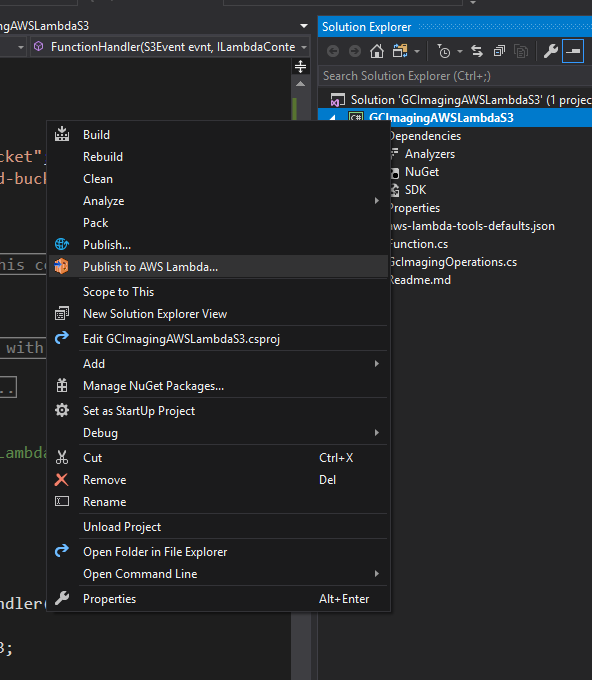 Open NuGet Package Manager, search GrapeCity.Documents.Imaging, and install the package. Create a new class GcImagingOperations.cs. GcImagingOperations class would contain static functions that will manipulate your images. Permissions for your Lambda function – Regardless of what invokes a Lambda function, AWS Lambda executes the function by assuming the IAM role (execution role) that you specify at the time you create the Lambda function. Using the permissions policy associated with this role, you grant your Lambda function the permissions that it needs. For example, if your Lambda function needs to read an object, you grant permissions for the relevant Amazon S3 actions in the permissions policy. 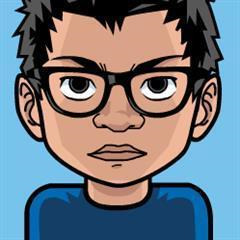 For more information, see Manage Permissions: Using an IAM Role (Execution Role). Now whenever you upload any image in gc-imaging-source-bucket you will have its grayscale version uploaded into gc-imaging-target-bucket bucket. You can download the code in this project from this GitHub repo). Happy coding! Be sure to leave any comments or questions below.